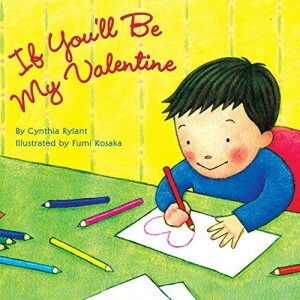 Short valentine stories for preschoolers that introduce the concept of love and giving to kindergarten children. 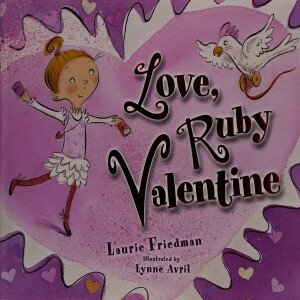 Ruby Valentine has a favorite day and Valentine's Day is it! It's the one day a year when she can show the people of Heartland just how special they are to her. For days on end, she bakes and wraps and cuts and curls until her wagon is overflowing with cards and gifts. But Ruby works so hard getting ready for the big day that when it finally arrives she sleeps right through it! Has Ruby missed her one chance to tell everyone how much she cares? Early one morning, mouse follows his sister around the house. She's making something special. It's red and lacy and very pretty. Snip! Snip! Snip! What will it be? 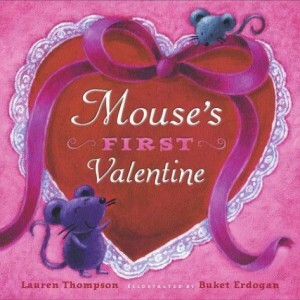 A great book to introduce Valentines Day card making activity. If you'll be my valentine I'll kiss you on the nose. I'll scratch your ears and rub your head and pet your little toes. This book is a great way to explore ways we can show our love to the people that are dear to us. One day it rained hearts, and Cornelia Augusta catches them. 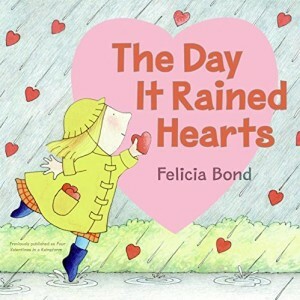 Each heart is special in its own way, and Cornelia Augusta knows exactly who to send them to. You have to love Franklin. In this book the adored character created by Paullete Bourgeois, can't wait to give his friends the Valentine's Day cards he has made. But when he gets to school, he discovers that they're missing. Franklin is heartbroken and worried that now his friends won't want to give him any cards. 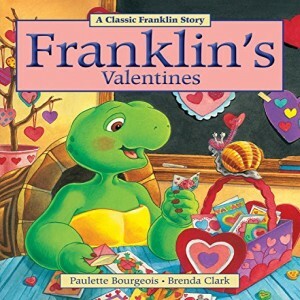 Big hearts prevail and Franklin soon learns that he has very good friends -- and that he can be a good friend, too.